MOSCOW (Sputnik) — Speaking at a ceremony to welcome the new ambassadors of 20 countries, Putin said that Moscow will "contribute to the political resolution of the Transnistrian problem." The Operational Group of Russian Forces were deployed in Transnistria in 1992 following the armed conflict that had flared up in the region. 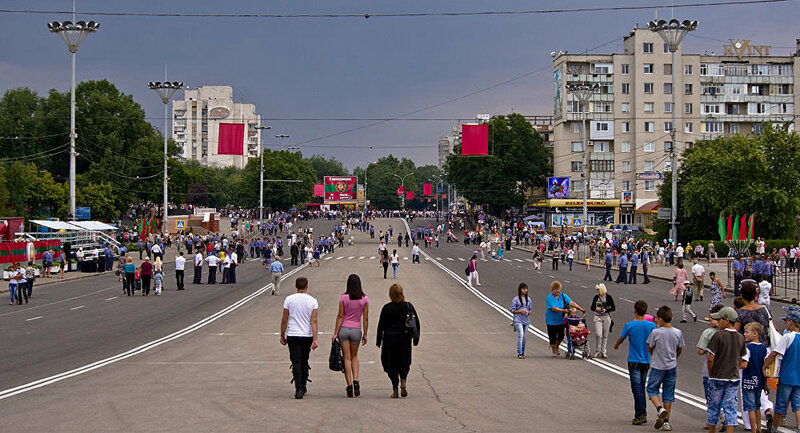 Transnistria, a region with a predominantly ethnically Russian and Ukrainian population, is a self-proclaimed republic that seceded from the Soviet Republic of Moldova in 1990 for fear of its possible reunion with Romania. The separation led to a conflict that ended in a ceasefire announced on July 21, 1992, but the conflict remains unresolved. Moscow and Chisinau have signed an agreement, formally approved by Tiraspol, which confirmed the conflicting sides’ willingness to involve Russia in in the conflict's settlement. In late August, Moldovan Permanent Representative to the United Nations Victor Moraru sent a letter to the UN Secretariat, saying that Moldova intended to raise the issue of foreign troops' withdrawal at the 72nd Session of the UN General Assembly. The Moldovan Foreign Minister then stated that the initiative did not relate to the Russian servicemen involved in the tripartite peacekeeping contingent in the Transnistrian security zone. Russian Deputy Foreign Minister Sergey Ryabkov called the demand by the Moldovan authorities a provocative initiative, which ignored the real reasons for the presence of Russia's limited military contingent in the area.